Are you considering teeth straightening options for your teen? Is he or she hesitant to undergo orthodontic treatment because they do not want to wear metal braces? Many younger patients feel self-conscious about wearing traditional braces, as they feel they are far too noticeable. Fortunately, Dr. Steven M. Balloch offers Invisalign® and Invisalign® Teen at our Harford, CT dental practice. Here, we explore Invisalign Teen and discuss the pros and cons of this revolutionary treatment. Invisalign is one of the leading alternatives to traditional braces. Instead of using brackets, wires, and bands to straighten the teeth, this system uses a series of custom-crafted aligner trays. Every two weeks or so, the current set of trays are switched out for a new set. These subtle changes will gently and methodically move the teeth into more appropriate positions over time. Like traditional orthodontics, treatment with Invisalign takes approximately 18 to 24 months to complete. However, because the trays are fabricated from BPA-free thermoplastic, they are virtually invisible. For this reason, most people will not be able to tell you are straightening your teeth. How Does Invisalign Teen Compare to Traditional Invisalign? Functionally, traditional Invisalign (typically recommended for adults) and Invisalign Teen are the same. Both move the teeth using clear aligner trays. Both offer more inconspicuous treatment. Both take about the same amount of time to complete. However, there are a few features that make Invisalign Teen an excellent option for our younger patients. We will explore these characteristics here. In most cases, teens who undergo orthodontic treatment still have growing teeth. As the molars begin to erupt, it is important to make sure they have enough space to grow in properly. Invisalign Teen features extra space in the aligner trays so that new teeth erupt in just the right positions. When moving teeth, it is sometimes necessary to move the roots as well. Invisalign Teen comes with special features that help guide the roots into their proper locations for timely and successful treatment. Let’s face it. Teens are busy. Between school, sports, dances, and extracurricular activities, it can be difficult to know if they are wearing their trays enough. 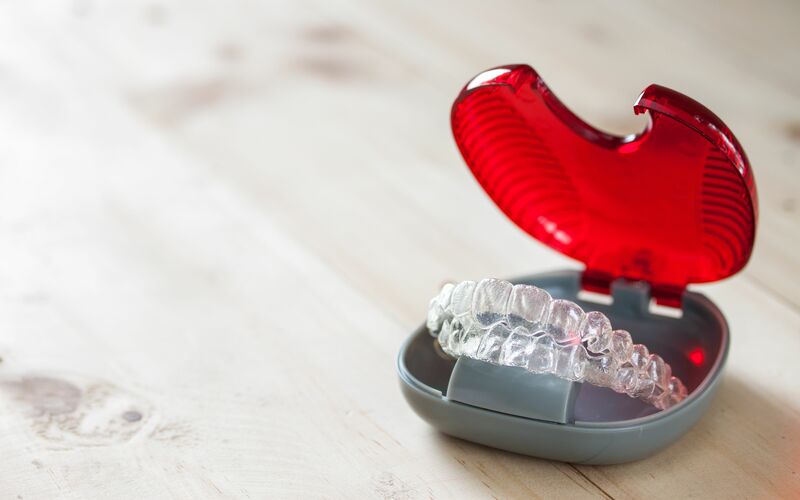 The success of Invisalign Teen largely depends on patient compliance. That is why each and every tray comes with tiny blue indicator dots. These helpful tools fade the longer the aligners are worn. Therefore, the doctor, the patient, and the parents can know if the trays are being worn often enough. Keeping track of Invisalign trays can be challenging, especially since they must be taken out to eat, drink, brush, and floss. If your teen accidentally loses his or her trays, Invisalign offers up to six replacement trays at no additional cost. Are There Disadvantages to Invisalign Teen? Invisalign Teen works exceptionally well for most cases of malocclusion and misalignment. However, if your child’s orthodontic issues involve skeletal abnormalities, traditional treatment may be a more suitable option. During a visit with Dr. Balloch, we can help you determine if Invisalign Teen is right for your child. With so many advantages, it is no wonder more and more of our younger patients are choosing Invisalign Teen. If your child is hesitant to begin orthodontic treatment, perhaps this is a solution for you. To determine your teen’s eligibility, schedule a consultation at our practice today. You can call our office at (860) 659-8660 or you can contact us online anytime.